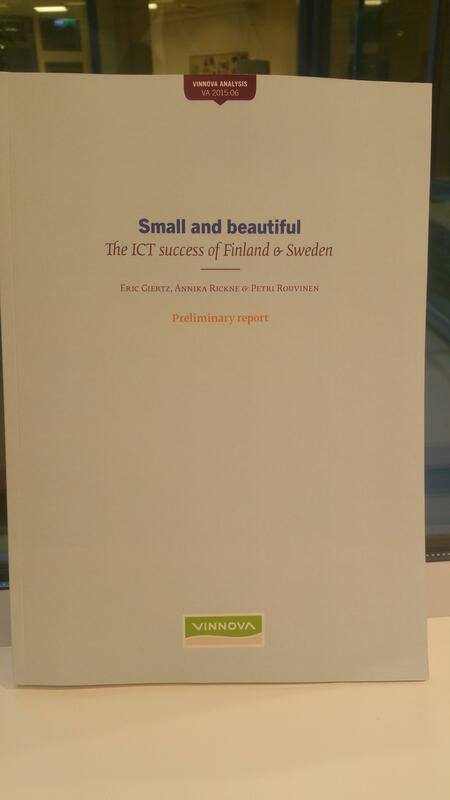 The first version of the report has been presented at VINNOVA – Sweden’s Innovation Agency. It is now being revised for the final publication. I am working with a more practitioner oriented version, that I hope to present at Linköping Game Awards in November. 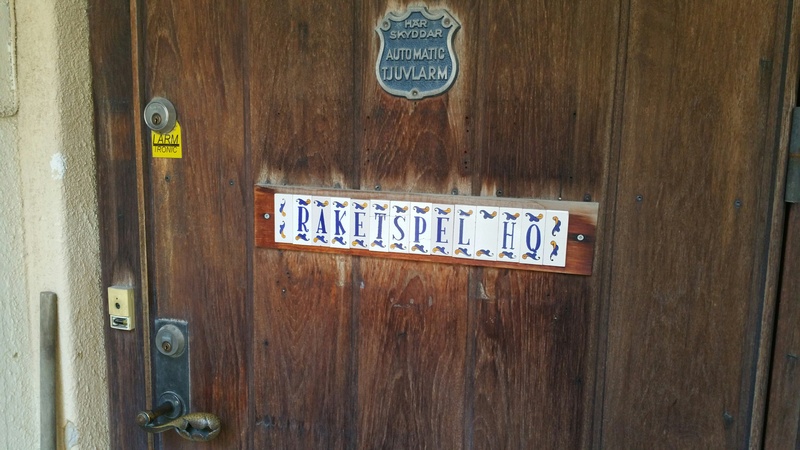 Raketspel, with an office at Kungsholmen Stockholm, started in 1999-2000. One of the early ambitions was to ”make the Internet fun”. They have worked with both web and game projects. One of the main clients in the early stage was TV4, a major Swedish broadcaster. Over the years a large number of games have been created. They have had success with challenge games of different kinds. Currently word games such as Wordcollapse and Word Monsters dominate the business. We discussed how studios can benefit from their user community by cross selling and learning. For instance, it appears that many prefer some kind of chance element in challenge games, since if it is only about skill it is just a matter of someone simply being the best and in the end allays win. Another important factor is the gameplay and player control, so that winning feels like a matter of skill and loosing is a matter of bad luck rater than a bad interface. Raketspel’s revenues are in the lower midrange for Swedish studios. The team has been kept small and a nice climate and feeling is important. We had a good time discussing the challenges of the industry and strategic options for studios over a nice coffee. Two if the eight app developers that received the new price Apple Design Award at WWDC 2015 in San Fransisco last week were Swedish. 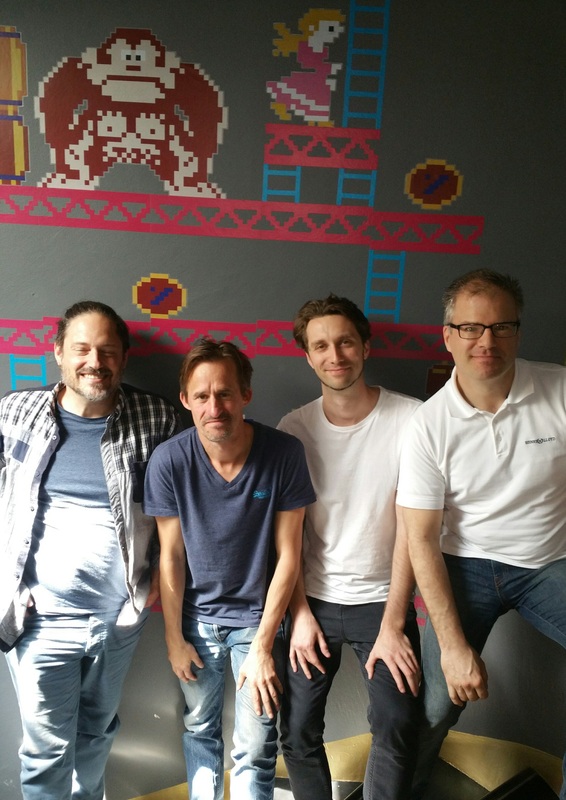 One of them is the spectacularly successful mobile game studio Mediocre, a two-man company in Malmö. They continually keep launching hit games. 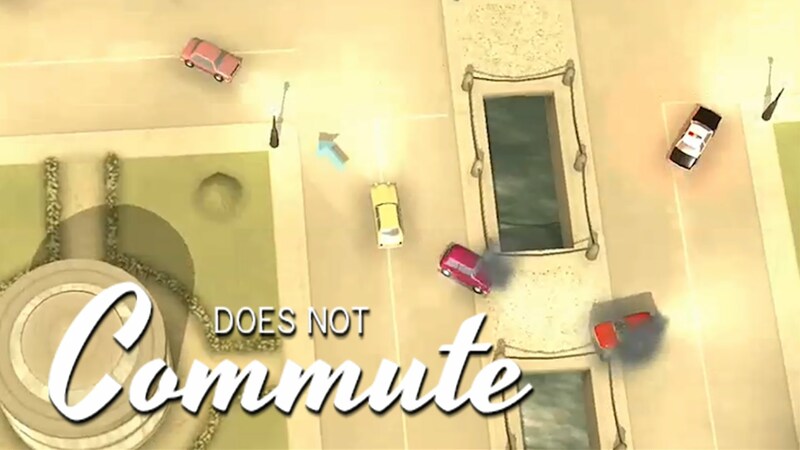 The award was given for their latest game Does Not Commute, a strategic driving game with beautiful retro aesthetics. Which Country Makes the Best PC Games? 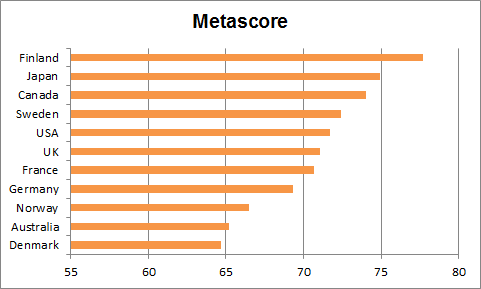 Trying to validate the competitive strength of different game developing nations, I made an analysis on all Metacritc scores for recent games. For practical reasons, the study was limited to PC games from 2014 and 2015. 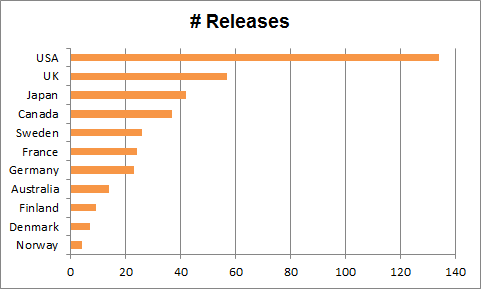 The average for the total 478 game releases was 71,28 (Metascore) and 6,9 (Userscore). Sweden’s averages were slightly higher than the total, but not at a statistically significant level (one-sided t-test). The following graphs illustrate the results. The number of reviewed titles per country. Average Metascore for reviewed titles, per country. Poland, Netherlands, Bulgaria, Hungary, Italy, Czech Republic, and Spain may be added later, if there is time. Note: The analysis is to be considered indicative, since the data has some weaknesses. 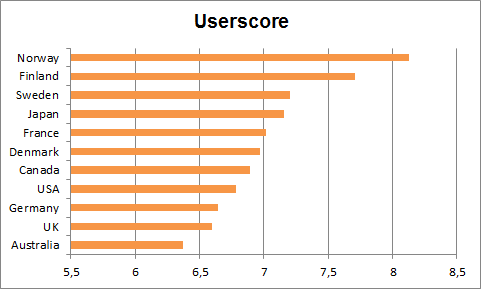 The scoring is not done systematically by the same individuals, but are indications of the average opinions of critics and users that rated each game. But, for example, players tendency to engage in rating might not be independent from their game attribute preferences. For older games, this is less of a problem because of the higher number of underlying scores. But new games have fewer scores, and also tend to have higher scores. The relatively large sample size might mitigate some types of bias. 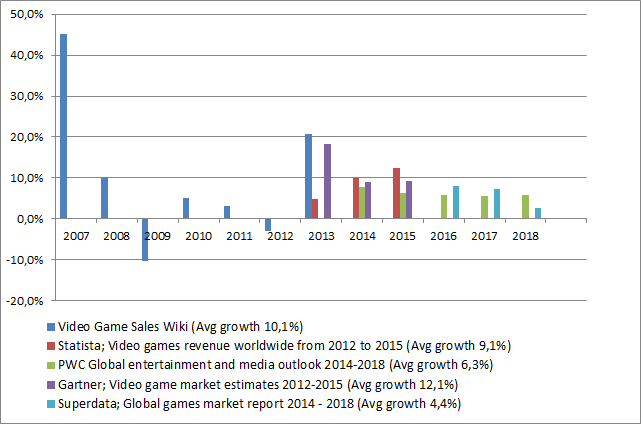 Doing a meta study of five different reports from international industry analysis and research firms it appears that the global revenues from video games are now around 100 billion USD. According to statistica, more than half of the revenues are from the still-growing console sector (see link for different sub-sectors). While the data comes from different sources (that I cannot verify) and cover different years, the numbers are similar in magnitude and provide a rough base for comparison. The average yearly growth rate was 8,3%. The average yearly growth rate for Swedish game developers 2010-2013 was 74,8%. When excluding outliers (extreme cases) the rate is still around 50%. In the meta study the average global growth rate for these years was 8,1%. On the same basis Sweden’s share of the global revenues is estimated to 1-2%. Note: This is for illustration purposes. The global data are from consumers, while the Swedish are from the game developers. Swedish data may therefore exclude sales from large Swedish games that are reported by company entities in another country. This can effect the Swedish growth rate. The data sources for global numbers have not been verified. 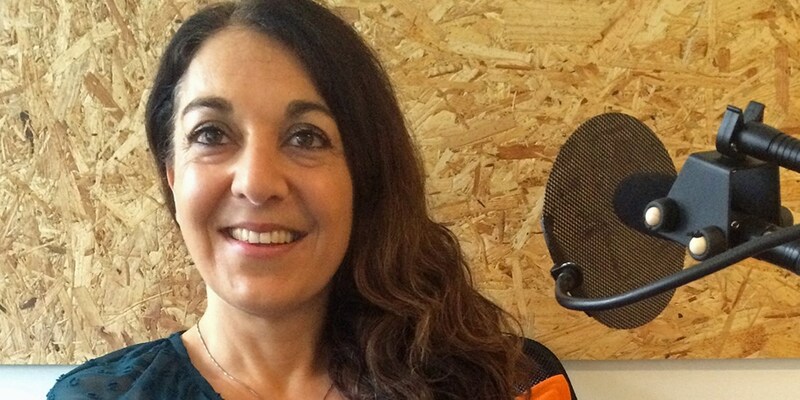 Rosie Linder and her team has created two games, PeppyPals Farm and peppyPals Beach, that are intuitive, fun and very constructive for children. To solve the different puzzles, the child need to interpret the emotional state of the different cute animals in the game, and take actions to make them feel good. Se a nice article here (in Swedish). PeppyPals Beach is my 2,5 year old daughter Emmas favorite game. She plays it on a Samsung pad. Sometimes we play together and discuss what is happening in the game and why. From an analytic standpoint, PeppyPals is a good example of a game start up initiated with a mission rather than solely financial objectives. Several of the smaller studios I have interviewed, especially in the mobile games sub-sector, have referred to such missions: To do something better for the world or just to make the games they would like to play themselves, while making enough money to support a normal life. While there seems to be a correlation between not being interested in making much money and actually not making much money on games, these objectives need not to be exclusive. Studios such as mediocre manage to achieve commercial success while pursuing a personal passion. (See separate coming post). So in conclusion, maybe the commercial part should sometimes be given more priority even in mission-based efforts, possibly giving the entrepreneurs more resources to follow their passion? PeppyPals is on a good track with more than 100 000 paying downloads already! 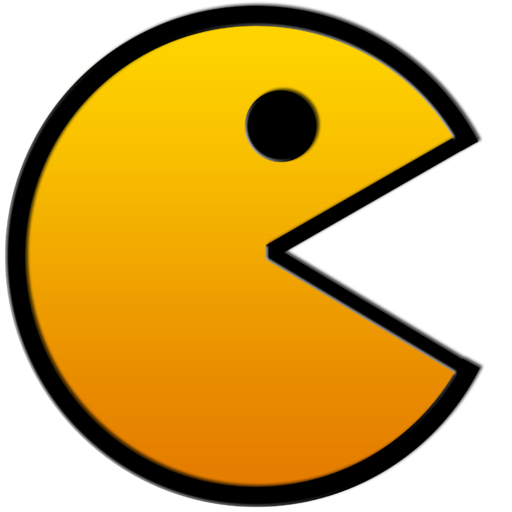 Packman is one of the worlds best know computer games. It invented in 1980 by Toru Iwatani, the founder of Namco. Released the 22 may, making it 35 years old today!